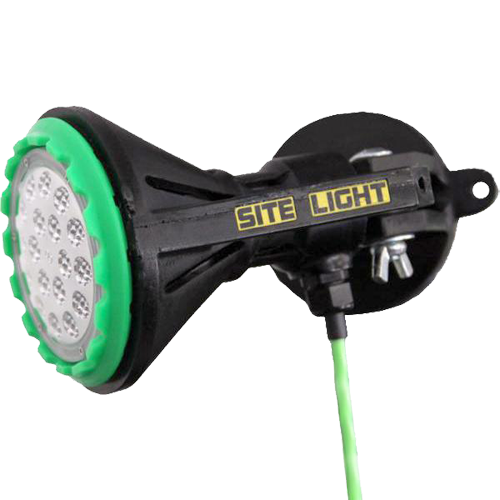 This hazardous location hand lamp is Class 1, Division 1 approved and equipped with a 100 watt bulb. 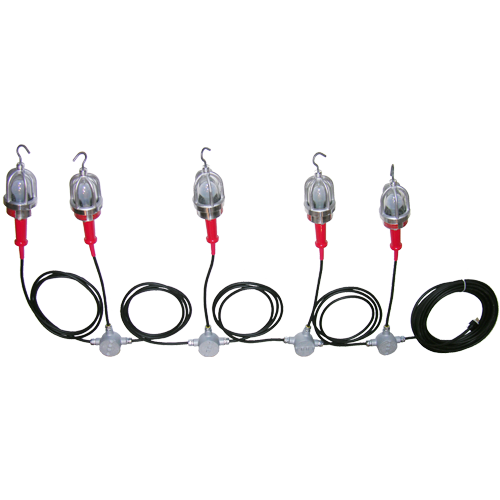 Your typical incandescent explosion proof drop light with optional string work light configurations. 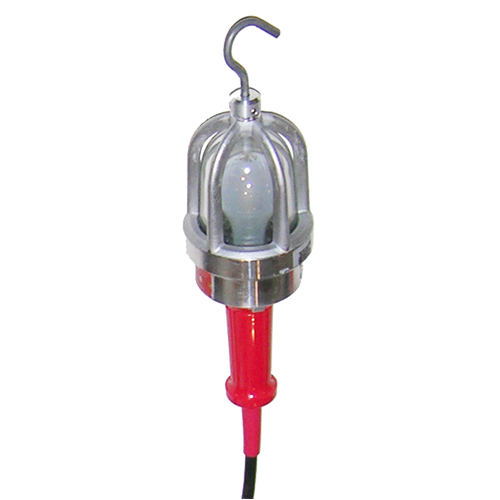 This Incandescent Explosion Proof Drop Light is designed to provide an effective lighting solution for operators requiring a typical source of light. 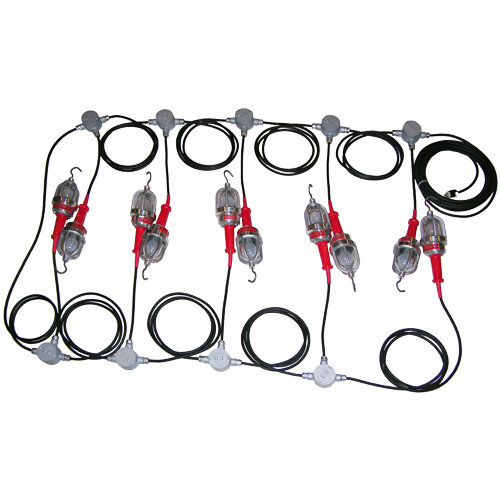 The housing is constructed of aluminum with a rubber bumper guard making it rain tight and weather proof. 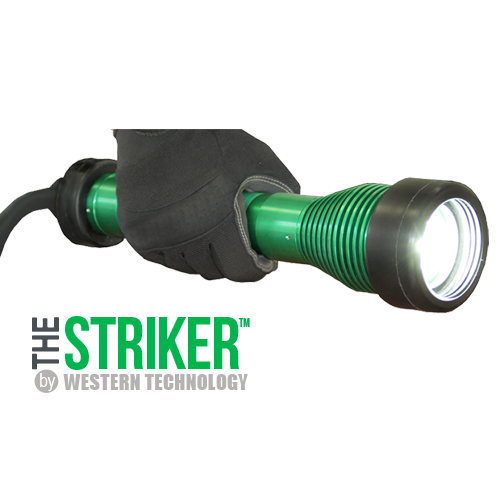 This hazardous location hand lamp is Class 1, Division 1 approved and equipped with a 100 watt bulb. 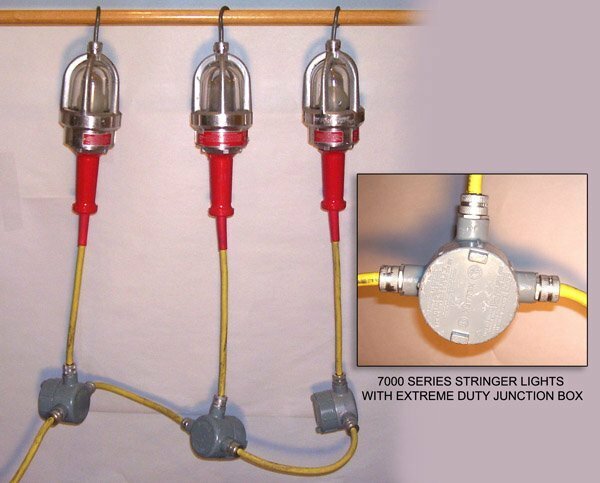 This explosion proof drop light can be built as an inline string work light. 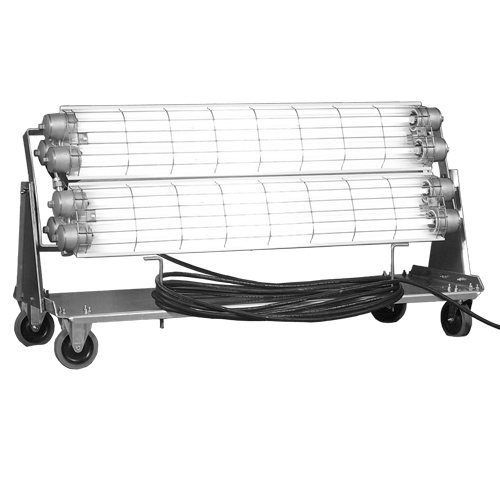 Optional 5 & 10 light-head configurations available. 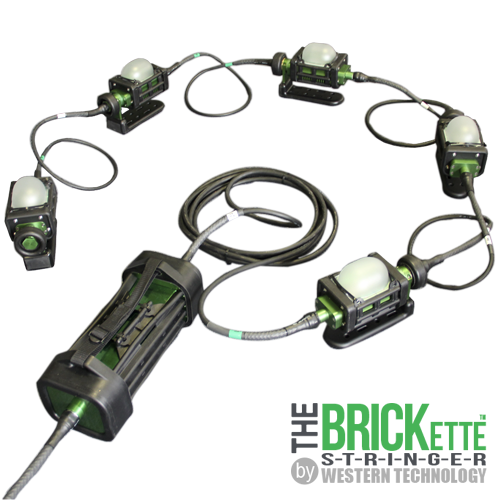 It is ideal for hazardous work areas where a ready source of easily managed lighting is desired.